Harris Corporation, RF Communications Group, Long Range Radio Division, Rochester, N.Y., has announced the availability of a new brochure on radio products for the marine industry. This six-page full color brochure describes Harris's full range of HF-SSB radio products and accessories. 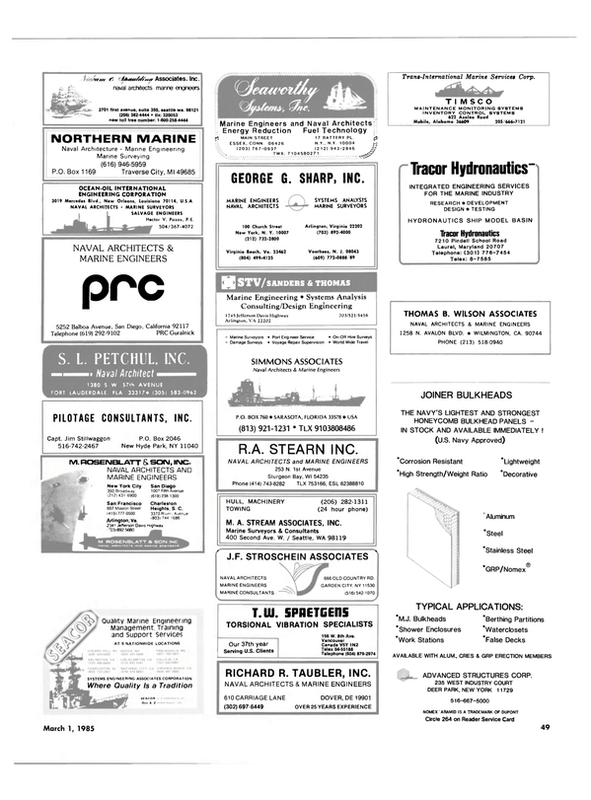 The radio communications equipment and systems presented in the brochure are widely used for marine shipboard and limited coast shore applications—from oil exploration sites to refineries, from tanker fleets to delivery fleets, from harbor tug fleets to workboats and pleasure crafts. The HF equipment featured includes the RF- 230M 125-watt synthesized transceiver, the RF- 230MS 125-watt Synthesized/Channelized Transceiver, the RF-104 lkw Linear Power Amplifier and the RF-798 Remote Control System. The brochure also presents Harris's line of advanced HF communications systems providing customized HF computer control for onboard management, drill rig daily reporting and exploration data transfer. The equipment featured for these applications include the RF-2331 Series 125 watt Channelized ARQ System and the RF-7100 Series HF Adaptive Communications System. The RF-2331 ARQ System is an advanced automatic-error-correcting HF teletypewriter system, designed for easy, channelized marine telex and data operation; available with an optional RF-536 Scan Control. This system is especially advantageous aboard ships as it allows a single operator to monitor a large number of shore station frequencies allowing fully automatic operation. The RF-7100 HF Adaptive Communications System offers the ultimate solution to today's HF communications problems—providing automatic selection of the optimum channel in marginal signal conditions, and selectively calling a particular station on the network. The RF-7100 Series HF Adaptive System can be configured for a variety of applications, including point-topoint and computer-controlled frequency management systems.